Home Neurosurgery Mayur Jayarao M.D. Dr. Mayur Jayarao is a board eligible Neurosurgeon affiliated with CoxHealth in Springfield, Missouri. Dr. Jayarao is a native of India and earned his medical degree at Manipal, India. He initially started training in General Surgery at Mayo Clinic, Rochester MN before transitioning to neurosurgery. He started his neurosurgical residency at University of Missouri, Columbia MO, and subsequently completed it at the Geisinger Health System, Danville PA, where he also served as Chief resident of neurosurgery. Following residency, Dr. Jayarao completed fellowships in Neurosurgical Oncology at Brown University, Providence RI, and Complex Spine and Deformity at Shriners Hospital, Philadelphia PA. Additionally, Dr. Jayarao also completed a general neurosurgery fellowship at Boston University, Boston MA. 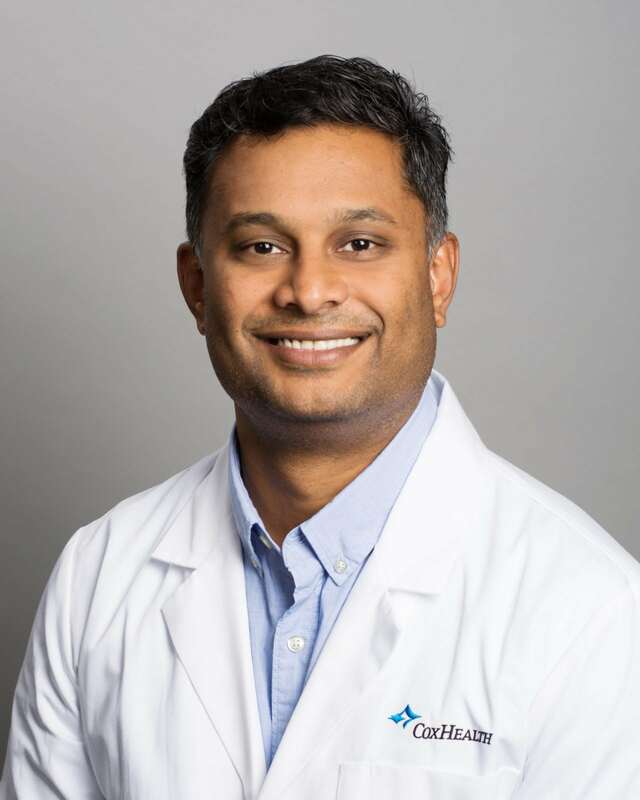 In 2018, Dr. Jayarao joined Springfield Neurological and Spine institute. At SNSI, Dr. Jayarao practices as a general neurosurgeon, with clinical interests in numerous facets of open, endoscopic, and minimally invasive cranial and spine neurosurgery. These include treatment of brain and spine tumors, complex adult and pediatric spinal disorders, skull base surgery, brain and spine vascular abnormalities including aneurysms, epilepsy surgery, peripheral nerve and pain disorders including trigeminal neuralgia, and stereotactic radiosurgery.